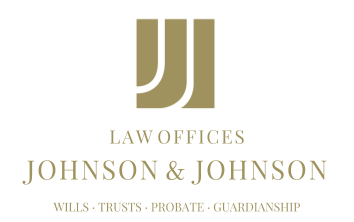 For a variety of reasons, individuals sometimes wish to avoid probate. A revocable living trust is one way to avoid the process, but some residents of Nevada may mistakenly have heard that joint asset ownership between couples achieves the same result. This, however, is only accurate when the first spouse passes away. Further steps need then be taken through an estate planning attorney to ensure that the estate avoids probate after the surviving spouse passes on. Why do so many individuals want to avoid probate? The process long, often lasting from six months to over a year. It’s also costly, with legal fees often amounting to thousands of dollars paid out of the estate. Additionally, probate proceedings are open to the public. This often results in creditors filing claims against the estate. After a spouse has passed away, the surviving spouse sometimes attempts to avoid probate of his or her estate by naming adult children as co-owners of assets. This, however, can potentially create a new set of problems by making those assets vulnerable to any of the adult children’s creditors. Couples may find that the wisest approach to estate planning is for the married couple to jointly establish a revocable trust while both spouses are still living, without waiting for the first spouse to pass away. With the guidance of a Nevada estate planning attorney, precautions can be taken in advance to help avoid the expense and delay so often associated with probate. There are a variety of estate planning tools to fit specific needs. A lawyer can answer any questions and offering ongoing guidance through what may otherwise be a confusing and complex process.